SKU: . Category: CUSTOM-MADE. Tags: reading, studying. Study, work or read in peace with Pluggerz Custom-Made Read. Possible to attach headset and enjoy music at same time. You don’t want to bothered by disturbing noises whilst studying, working or reading? Pluggerz Custom-Made Read 2-in-1 offers you the solution. 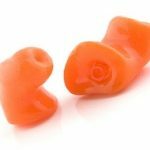 Our earplugs suppress noises as much as possible, so you can focus maximally. Pluggerz Custom-Made Read 2-in-1 have a flat filter, that supress noise strongly and it does not distort sound. 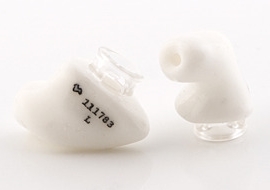 It therefore guarantees optimum music quality, also great to wear at concerts and festivals! And the Read 2-in-1 can easily be connected to in-ear-speakers for optimum MP3 player output! 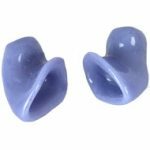 And when yu want to listen to your music, you simply connect these earplugs to in-ear-speakers for optimum MP3 player output! Pluggerz Custom-Made Read 2-in-1 combines optimum comfort, the best protection and sound quality! 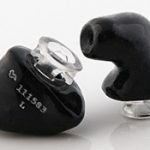 LIKE TO LEARN MORE ABOUT HEARING DAMAGE ? >> CLICK HERE ! Interested in becoming a Pluggerz reseller? Contact us to discuss the possibilities!